WHAT IS BEEF PROTEIN ISOLATE 97 (HYDROBEEF™)? BULK POWDERS™ Beef Protein Isolate 97 is the world’s most advanced Beef Protein powder. Containing HydroBEEF™, this product is manufactured in Europe from fresh beef. In accordance with our commitment to bringing you the latest and most innovative supplements, BULK POWDERS™ is proud to have been appointed as the first supplier of this product in Europe – and the only company in the world supplying it in its purest bulk form. HydroBEEF™ Beef Protein Isolate 97 is a complete protein source, with an outstanding protein content of 97%. This makes it not only the purest Beef Protein on the market, but one of the purest protein sources available full-stop! With such a high protein content, this also means that HydroBEEF™ is practically carbohydrate and fat free – with the unflavoured version containing 0g carbohydrate and under 0.5g fat per serving. Importantly, HydroBEEF™ Beef Protein Isolate 97 is made from fresh beef, making it a superior product with an impressive amino acid profile and enhanced absorption. It is especially high in amino acids, making it perfect for performance athletes and bodybuilders looking to increase muscle mass and improve recovery. Due to a unique hydrolysis process, which breaks larger protein bonds into smaller ones, and its low molecular weight, HydroBEEF™ has superior solubility to other Beef Protein powders on the market. Please note, however, that due to its ultra-high protein content HydroBEEF™ Beef Protein Isolate 97 froths far more than a typical protein drink – particularly the unflavoured variety, which is 100% pure and natural with no added instantising agents. For those looking for an alternative to Whey Protein, or for anyone following the principles of the Paleo Diet, HydroBEEF™ Beef Protein Isolate 97 makes an excellent choice. HydroBEEF™ Beef Protein Isolate 97 is available unflavoured and in Chocolate, Chocolate Peanut and Banana Fudge flavours – both are strong flavours that effectively mask the taste of beef. The unflavoured variety is certainly not the best tasting protein powder to hit the market in recent years, although it is milder in taste than other, inferior Beef Protein powders. That said, we would recommend combining the unflavoured variety with other protein sources to minimise taste and froth. WHO IS BEEF PROTEIN ISOLATE 97 (HYDROBEEF™) SUITABLE FOR? Beef Protein Isolate 97 is ideal for all who have allergies to lactose, gluten and soya. 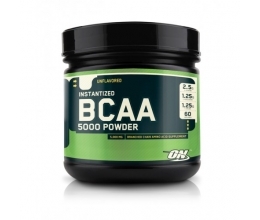 This product can also be used effectively in between meals by all due to its impressive amino acid profile and slower release. Hydrolysed Beef Protein, Sunflower Lecithin (instantising agent), Cocoa Powder, Flavouring (Chocolate or Chocolate Peanut), Colouring (Banana Fudge - Caramel Colouring), Sucralose. Mix 1 heaped scoop (30g) with 200ml water in a BULK POWDERS™ Shaker Bottle. Take 1-3 servings daily, in accordance with your protein requirements. Please note, HydroBEEF™ Beef Protein Isolate 97 has a frothy consistency due to its 97% protein content. This is more noticeable in the unflavoured version.